Preston - Withheld listing under contract. MLS#2248711. 1126. Highcroft Village - Home shows like a model home. MLS#2247633. 5078. Brookridge - Also includes storage building in backyard. MLS#2248695. 4542. Blackstone At Amberly - Gorgeous pool activiities in Amberly and more. $5000 carpet allowance. MLS#2248710. 1710. Medcon - Please see Agent Only remarks for showings. 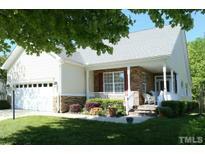 MLS#2248792. 549. Windermere - 10 ft & 9ft ceilings. Flat yard! Excellent location! MLS#2248590. 5026. It includes Ring doorbell, bluetooth thermostats and front door and even an Amazon Dot to help you set up your home the way you want it. MLS#2248538. 3789. 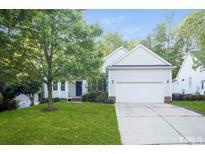 Tatton Place - Beautifully landscaped with large private back yard. MLS#2248161. 2731. What a great place to call home! MLS#2248223. 3789. Home site overlooks natural area. Check it out. MLS#2248423. 3789. 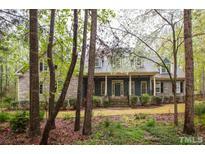 Oxxford Hunt - 1-2 miles from Cary YMCA, Bond Park & Fresh Market. MLS#2248122. 2989. 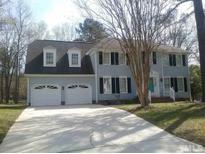 Brookgreen Forest - Large Master Bedroom suite w/walk-in closet, Double vanity, seperate shower & tub. 500SF deck. MLS#2248157. 2060. 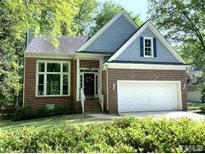 Scottish Hills - Easy commute to Raleigh, Apex, Morrisville, Durham & Chapel Hill. MLS#2248138. 2677. Woodwinds - Fully fenced flat yard with large back deck and 2 storage sheds. Front porch is covered. MLS#2248456. 987. Magnolia Woods - De-humidifer in crawl. Move-in ready. Great Cary location. MLS#2248023. 5019. Weston Pointe - FINISHED 3RD floor- Walk to N.Cary Park! MLS#2244729. 4604. Will also include ring doorbell, bluetooth thermostats and front door as well as an Amazon Dot. Come and see MLS#2247960. 3789. Weston Pointe - 3rd floor In-law or teen suite with kitchenette. Close to everything! MLS#2247090. 2989. Fryars Gate - Community has clubhouse, pool and playground. MLS#2247848. 4241. Resort-like clubhouse, pools, gym, playground and dog park all within a few blocks! SEE VIDEO WALK-THROUGH! 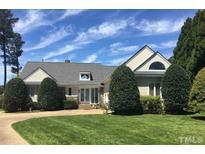 MLS#2247928. 297.